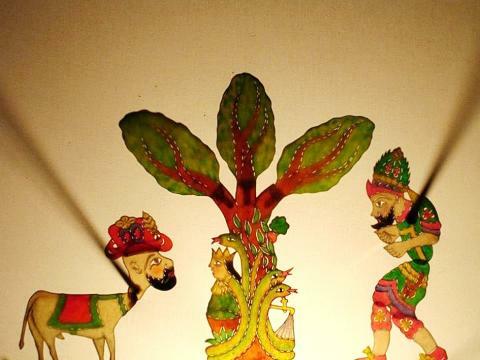 This year’s Taiwan International Festival of the Arts opened with ‘Shadows of Love’, a unique three-way collaboration between the local Taiyuan Puppet Theatre Company, the Cengiz Ozek Shadow Theatre of Istanbul and the Beijing Shadow Puppet Theatre Company. 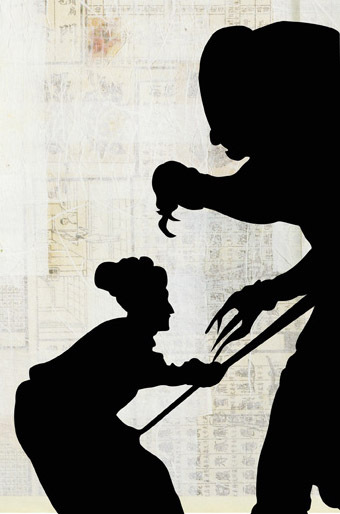 The show mixes shadow puppets, actors, acrobats, music, film and animation. The story starts with a shadow puppeteer in modern day Istanbul who finds a mysterious text written in Chinese which reads: “To the East and to the West, between man and shadow, the ways of the road and the heart, what was separated long ago must come together again”. From here the story develops into a journey moving between the past and the present, from the alleyways of ancient Beijing via the Silk Route to Istanbul, focussing on the story of two lovers separated in the past to be re-united in the present. 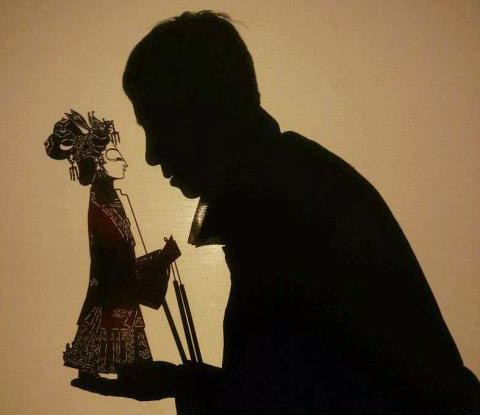 This is Taiyuan’s first incursion into shadow puppet theatre and an invaluable inspiration for the story was provided by Turkish shadow puppet master Cengiz Ozek and by Lu Baogang, a fifth generation descendant of the founder of the Beijing Shadow Puppet Theater Company. 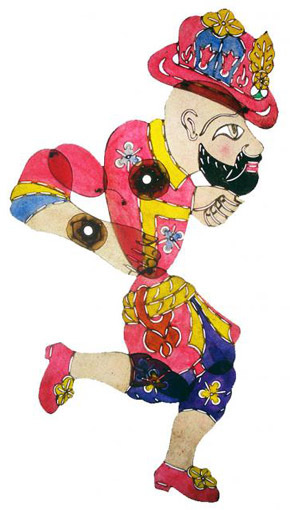 Cengiz Ozek’s Shadow Theatre company is famous for its vast repertoire of classical Karagoz plays as well as for creating modern interpretations. Karagoz is one of the main characters in the traditional Turkish shadow plays of the Ottoman period, dating back to the 16 century. Before radio and film these plays were the most popular form of entertainment in Turkey and they have survived until today, although toned-down in some cases to cater for younger audiences. They are based on the relationship between the cultivated class and the illiterate but honest peasant, where the everyday wit of Karagoz tends to fool the educated Hecivat. Karagoz, despite being very impulsive and always failing in his attempts to become rich, is never quite domesticated by Hecivat, to the delight of the audience. Lu Baogang has worked tirelessly for years to keep the Beijing Shadow Puppet Troupe together and continue with its traditional performances. Their puppets, hand-crafted in their own workshop, are works of art and have been displayed in museums across China. 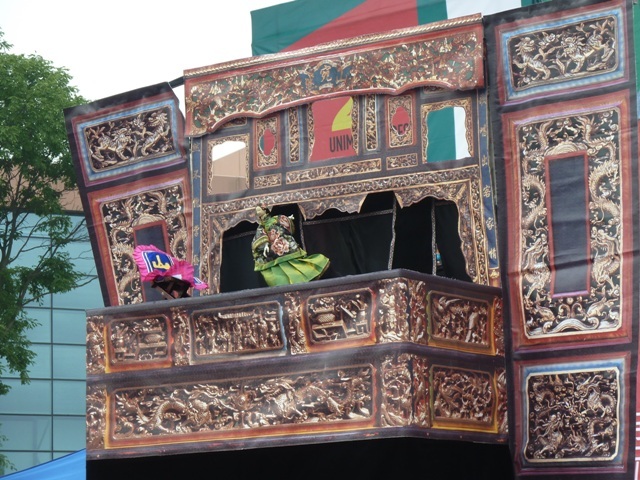 Once, the travelling players who presented these shows throughout the countryside and cities were a vital link between the people, helping develop the nation’s identity through the shared culture of its folk tales and myths. Lu and new backer Tony Huang see that kind of vital role being re-created for this ancient art, using the most modern of technologies to update the story-telling form. Huang has encouraged the troupe to expand its horizons accepting invitations to participate in overseas puppetry festivals as well as broaden its repertoire.